- You have limited storage for the free version of 1Gb. With the full version it is 10Gb with options to increase this if you need it. 1) We offer a one hour, on line training session on Workbooks to cover any topic you want. This could cover the Import feature, how to create new Fields, Reporting, integrating emails into Workbooks, or any other feature within the free version. The cost of this is £95 plus VAT. 2) We also offer a Telephone support contract on Workbooks. 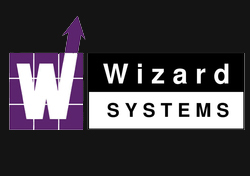 We have a Helpdesk here at Wizard Systems, ready to answer any questions you have on Workbooks. This is £20 per month plus VAT or sign up for a year's support for £150 plus VAT. If you would like to move from the Free version to the Full version, please let us know and we can provide a quote for you based on the number of Users you need.